Bachelors in Earth Sciences – Jadavpur University, 2000. Associate in Information Technology, New River Community College, August, 2017. 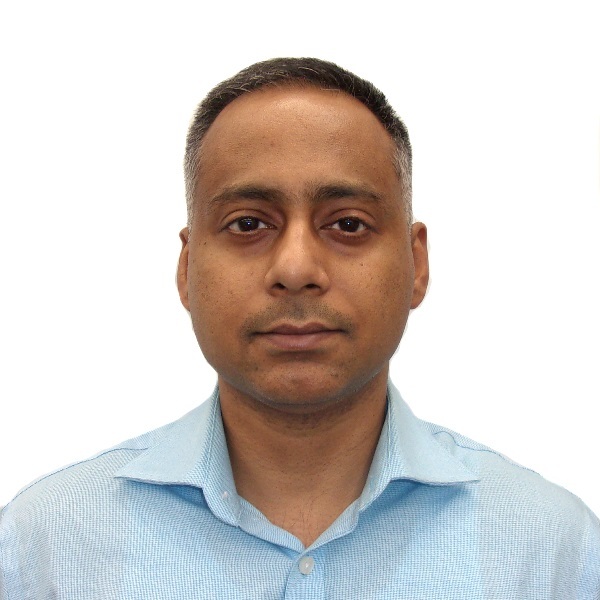 Mr. Basu is a Software Engineer (Team Lead) and Information Security Group Lead at Harmonia Holdings, Inc, in Blacksburg, VA. He has over 10 years of experience in data analysis and data visualization. For the last three years, he has been working on US military R&D projects developing secure enterprise level software solutions using Java and Ruby. Apart from practicing secure coding, Mr. Basu regularly performs vulnerability assessment, penetration testing, application STIGging using various tools such as ZAP (OWASP) vulnerability assessment tool and Kali Linux. Mr. Basu also involved in ISO 27001 certification process and has deep understanding of IT infrastructure audits, NIST Guidelines, CMMI. Mr. Basu also provides security trainings to employees at Harmonia. Finalist at Cyber Security Competitions (RUSecure) at Radford University in 2016 (ranked 7th/70) and 2017 (ranked 5th/120), first stage. Team captain for both years. Finalist in Cyber Start hacking competition organized by SANS in 2017. Received $1500 scholarship and access to special cyber security development program by SANS. Ranked 69th out of 3935 participants. Intermediate level Ethical Hacker Certificate – Fall season, National Cyber League, 2017. As a software Engineer and Team Lead, Mr. Basu has worked on multiple Government projects, especially for the US Navy. He is also the team-lead for the Information Security Group (ISG) at Harmonia that is responsible for managing and continually improving Harmonia’s Quality Management System processes relating to information security. In addition to developing enterprise software applications n JAVA EE, Mr. Basu performs technical security assessments of applications and infrastructure, security design reviews as well as risk assessments. Example of project specific work is specified below. Developed application using Java EE to support a R&D project for the military. Perform Risk Analysis, lead ISO 27001 certification, review security controls, perform gap analysis and recommend additional security controls. Perform vulnerability assessment of Harmonia’s production network. Provide security training to employees at Harmonia. Develop Enterprise Ruby and Java applications in MVC architecture. Develop automation scripts using Ansible. Manage a private-cloud with an ESXi hypervisor and perform testing of cloud based distributed software stack. Group lead of the Information Security Group (ISG) at Harmonia that manages information security risk for the organization. Perform penetration testing (ZAP tool) and prepare vulnerability reports for software products. Perform server STIG and application STIG for government projects. Prepare Security Assessment Reports (SAR) based on NIST 800-53 control framework. Prepare POAM documents, Security Assessment Reports (SAR) and vulnerability reports. Developed application using Java EE and developed REST client for the application. Develop unit tests and integration tests for the application. Mr. Basu worked as a consultant at Marshall Miller and Associates and performed various roles based on the project need. As a programmer, Mr. Basu developed secure computer code in Java, R and Python and performed vulnerability assessment and input validation. As a GIS Analyst, he prepared and maintained databases and developed SQL queries for geo-data analysis. Mr. Basu also developed numeral three dimensional models using FORTRAN to assess regional ground water flow. Managed complex large-scale projects for various clients; Managed access control to data and maintain client confidentiality as a consultant; manage physical security, safety and access control of drilling sites. Developed computer code using R to analyze radioactive sensor data and developed in-house software plugins for hydrogeologic data analysis. Developed python scripts to automate GIS data processing and model development. Prepared safety procedures and policies for various field projects. Prepared procedure for VA Department of Transportation (VDOT) for handling acid producing soils. Prepared numerical groundwater models using FORTRAN based MODFLOW; prepared analytical groundwater models based on ANAQSIM. Taught graduate level lab classes in Hydrogeology; developed FORTRAN code for 3D-groundwater problems; performed data analysis and data visualization of geochemical data; used Atomic-Adsorption Spectrometer and Scanning Electron Microscope for chemical data analysis. Taught geology lab classes, Managed X-Ray diffraction lab; performed K-Ar radiometric dating of soil samples; Performed statistical data analysis of geochemical data. SANS CyberStart Scholarship to attend special cyber security course developed by SANS institute, 2017. Outstanding Student Award in IT and Network Security, New River Community College, 2017. Recipient of NSA Funded awards on Cyber Security Competition hosted at Radford University, 2016 and 2017. Who’s Who Among Students in American Universities and Colleges, 2016. President’s List, New River Community College – 5 times between 2015-2017. University Gold Medal, Jadavpur University, 2000. National Award, West Bengal Board of Education, 1997.